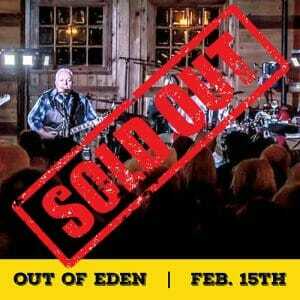 Out of Eden, Ohio’s premier Eagles Tribute Band will perform at the Barn at Mapleside Farms. It’s Valentines Weekend, so grab your sweetie or your friends and come on out to the Barn. You will have a Peaceful Easy Feeling listening to the Boys of Summer while we promise you Love will Keep us Alive, No More Cloudy Days or a Heart Ache Tonight. This evening will not be Wasted Time!